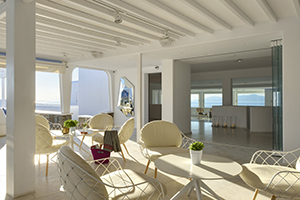 Myconian Kyma, a member of Design Hotels, reflects the sun in a mystical ‘hide and seek’ game, right between the straight lines and the curves of the Cycladic architecture. 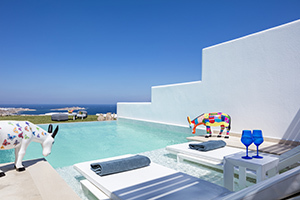 Its striking rooms and suites are exquisitely designed and decorated, some with their own private pool overlooking the deep blue and even more with private, delightful Jacuzzis. 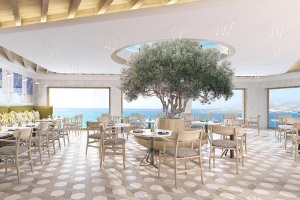 The restaurant offering an authentic Mediterranean orientation, the hip bar located by the main pool with a panoramic view over this iconic island and a state-of-the-art spa for long, comforting sessions is just the beginning of a wonderfully lavish experience. 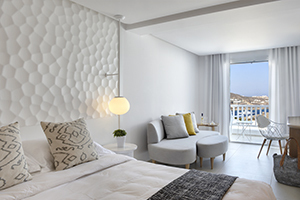 Located 10 minutes walking distance to Mykonos Town Center and Little Venice, making it a choice destination for guests who seek the sophisticated Myconian nightlife paired with the elegance of a top Design Hotel. Accommodations offer crisp white interiors complete with contemporary comforts and precision in every detail with sun-dappled terraces with Jacuzzis and infinity pools. Rich Mediterranean flavors and appetizing aromas come into their own with the use of the finest seasonal ingredients and produce at the Noa Restaurant. Satori Thalasso spa with its 5 pools offering different therapeutic benefits, as well as treatments that revitalize body and soul. 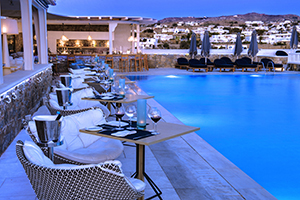 Kyma pool deck is a duo-leveled terrace at the crest of the hill, with 360-degree views of the island, Mykonos town and the Aegean. 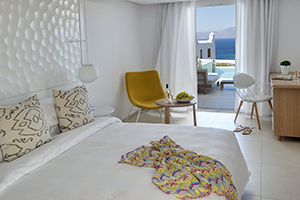 81 guestrooms and suites with sea view, private balcony and luxury in every detail, some offering a private Jacuzzi or private pool. 1 fine-dining restaurant and George’s Bar, a lively vibe with elegant flair. 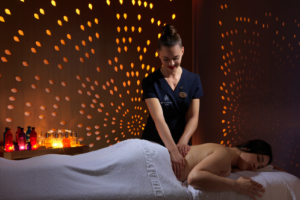 Satori Thalasso Spa features world renowned Elemis treatments and Ligne St. Barth products.